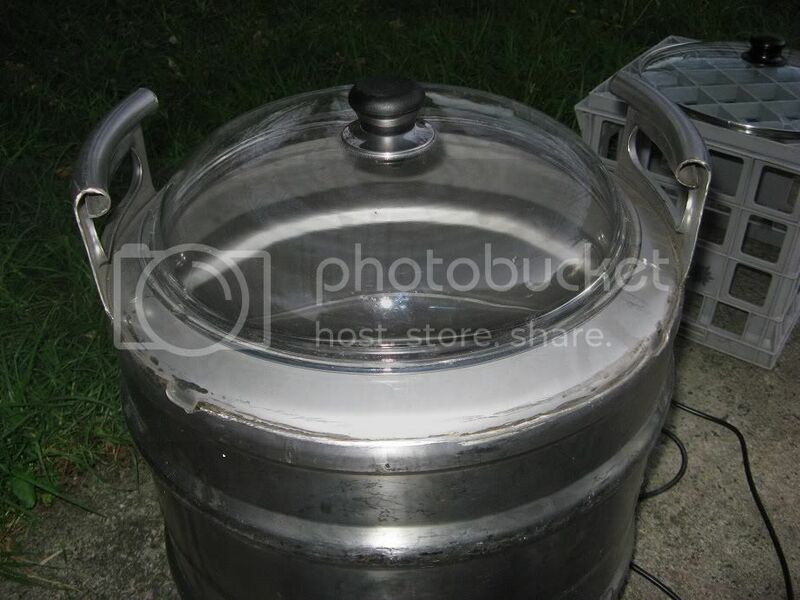 To convert the used beer kegs into useful brewing vessels, they need the tops cut out of them. Google search and YouTube videos show all kinds of complicated ways to do this, including things like using a jig to hold the grinder in the right position or even needing a plasma cutter. Since I had not done anything like this before, I did try to follow some of the advice, but found most of it pretty useless and the actual procedure much simpler and easier than I imagined. 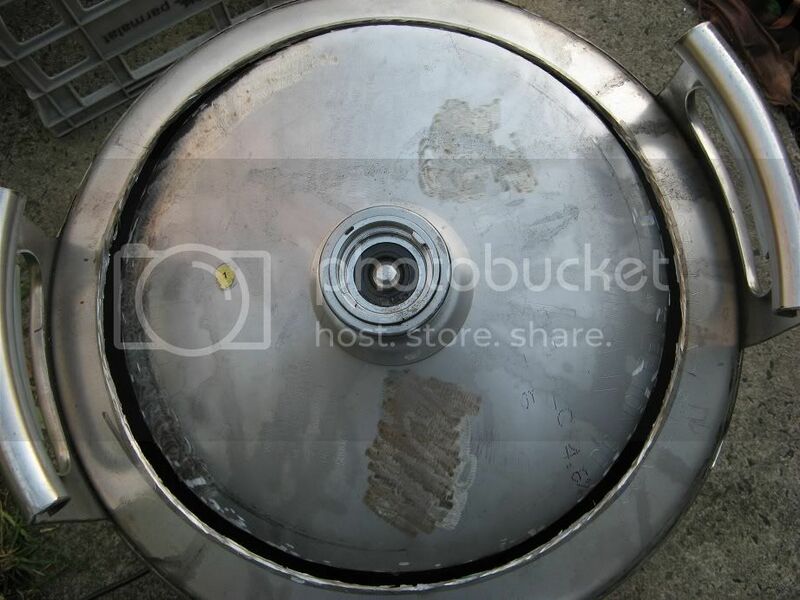 In the pictures below, the top collar of the keg has been removed, I find that this makes the kegs easier to work with and it also makes them lighter, the handles still retrain their full strength even with the rest of the collar cut away. Removing the collar before cutting the top off the keg gives more working space, which is useful in keeping the grinder upright, especially when the cutting disk gets worn down. However the collar does make a useful guide and can help cut the circle more cleanly. I was planning to use this keg as both the HLT and still-pot, but SWMBO was not keen on the still-setup and installing the various fittings for the HLT would be significantly harder with only the spear-hole to work though, so I decided to cut the top out of this keg too - and took some pictures as I did. 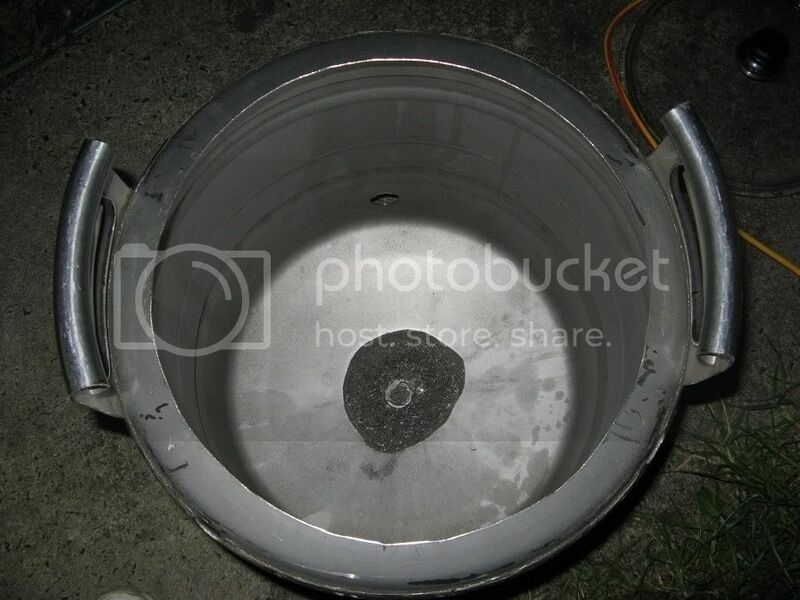 The only major tool needed to cut the keg-tops is an angle grinder, a thin steel cutting disk and a thicker steel grinding disk are both need, and will likely be destroyed in the process, however the $1 disks (shown below) worked well. The first thing to do is depressurize the keg, as you can see I had previously removed the spear from this keg so there was no chance of it holding any pressure. 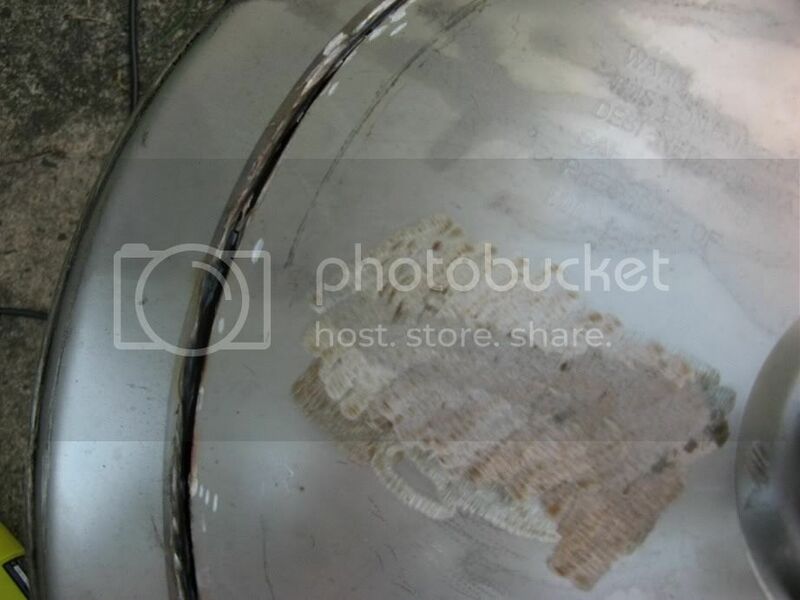 Then mark out the top of the keg, I did this simply by running the marker around the outside of a 30cm glass fry-pan lid that I plan to use once the keg has been cut. 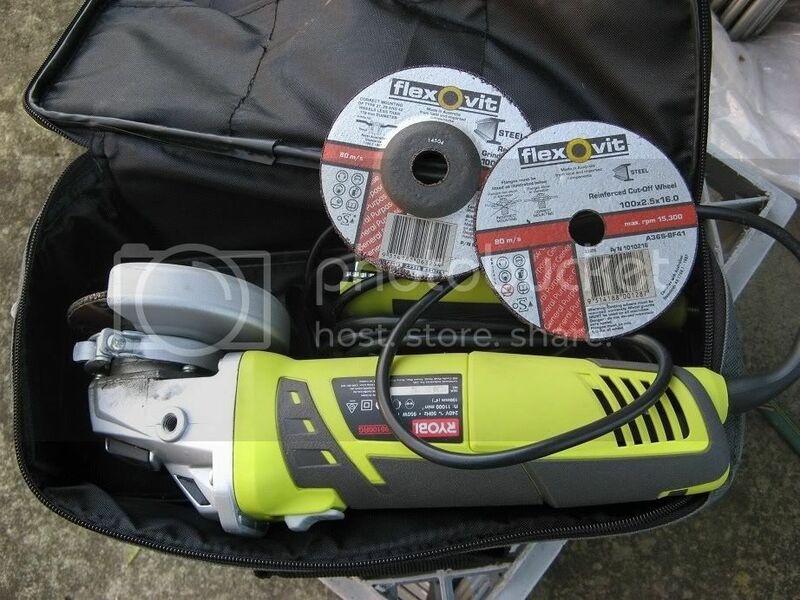 Attach the thin metal cutting disk to the angle grinder and run it -lightly- around just inside the marked line. Now that we have a groove to follow, continue to run the angle grinder around that groove. 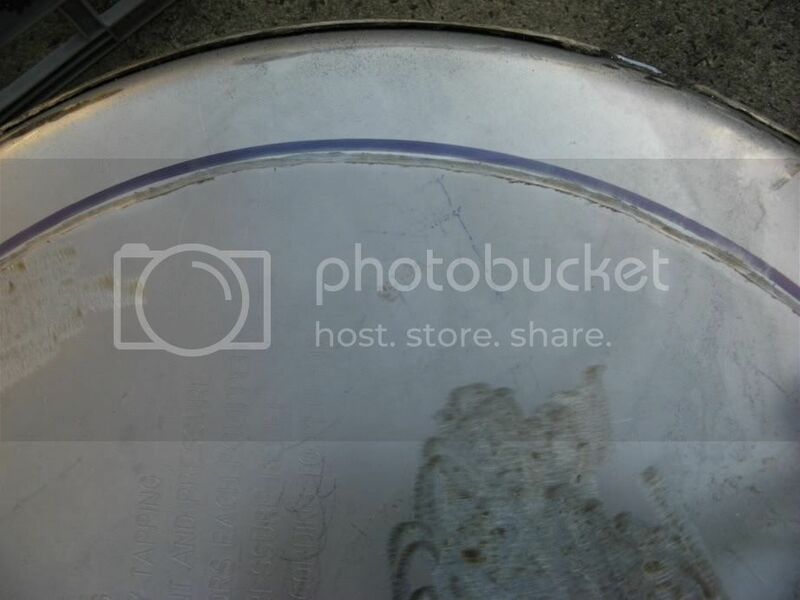 If you have not yet removed the top collar of the keg - and especially if you don't plan to use a lid of a specific size - there is no need to mark the cutting circle, simply place the shield of the angle grinder against the collar and use that as a guide as you cut around the top of the keg. Continue to work the angle grinder around the groove, trying to keep the cutting depth even all the way round, this should help preserve the cutting disk and if you do not concentrate on one section for too long it allows the stainless steel to cool before you come back to cut on that location again. After running the angle grinder around the top of the keg a few times, it will eventually cut through the top of the steel. 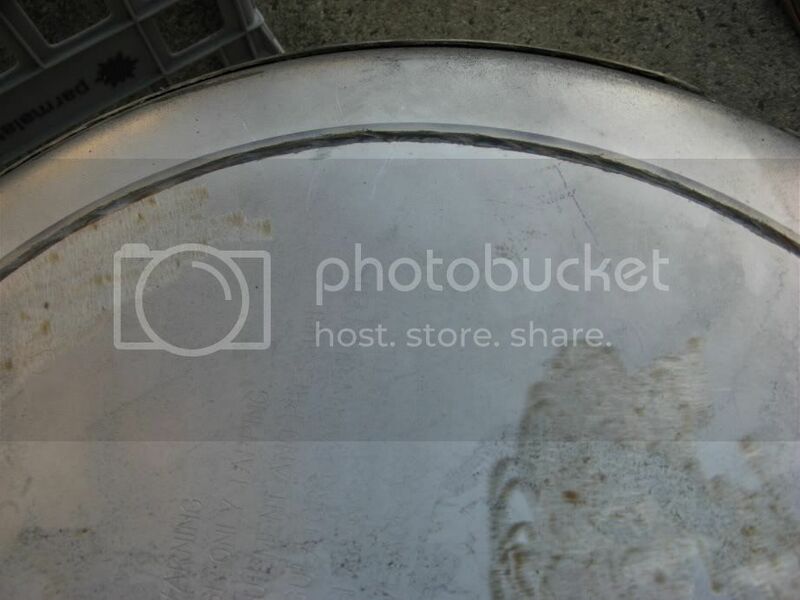 Although I had removed the spear from this keg previously, it's best to keep the spear in-place (but ensure the keg is totally depressurized) that way the section of keg-top has something to balance on as it's cut out. Without the additional support the heavy section that is being cut out can bend or deform and make cutting the rest of the top more difficult. 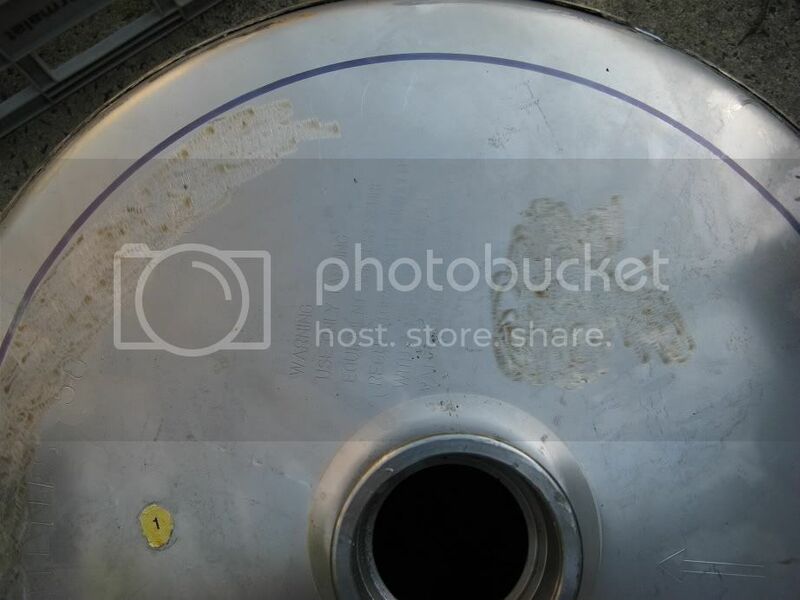 When the top of the keg has been cut out, its time to change to the steel grinding disk and clean up the hole and edges. If a lid of specific size will be used, ensure that it correctly fits inside the hole that has been cut, and it may be necessary to widen the hole just a bit (but that is why we cut inside the line at the start because we can make the hole wider if needed, but we can't make it smaller). Run the grinding disk over, around and under the hole to smooth it of and remove any jagged bits of metal that were left behind. The best method I found was to rest the guard of the angle grinder on the edge and then guide it backward grinding and smoothing the edge gradually around the circle - this allowed a good level of control and also ensured that the (generally) circular hole remained (pretty much) circular. Once the edges have been cleaned up with the grinding disk, its useful to smooth off the edges even more using a file, dremel tool or even wet-dry sandpaper. Continue working around the edge until it is smooth and clean and you can run your hand around without cutting yoruself or getting metal-splinters. You don't want to injure yourself, or someone else, while brewing or cleaning up afterward.